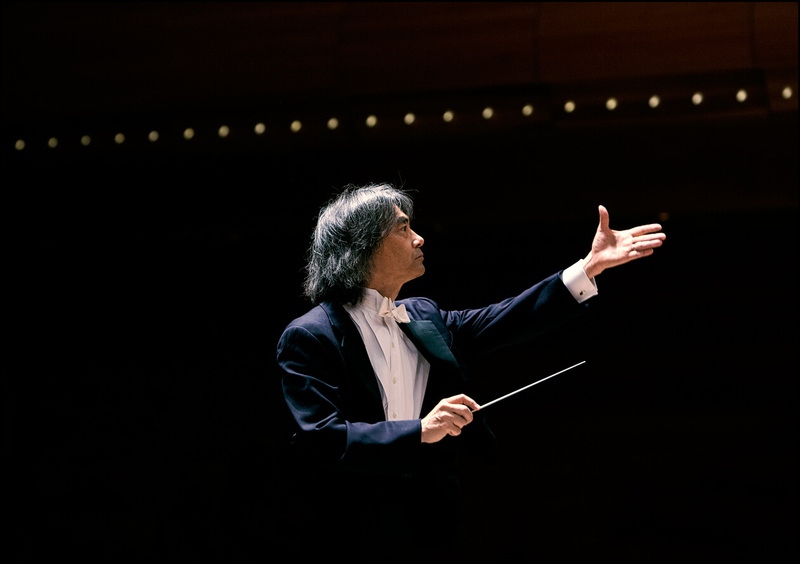 Kent Nagano is music director of the Orchestre symphonique de Montréal and general music director and chief conductor of the Hamburg State Opera. What does the outrage of this militant Frenchman of German Jewish origin have to do with classical music and, ultimately, with me, music director of the Orchestre symphonique de Montréal? A lot. I, too, am outraged by the direction of Western industrial societies, with their materialism, consumerism, and utilitarianism. I want to show that, because of its powerful impact, classical music can play a significant role right now. Composers address topics that are relevant to everyone. Their music highlights our worries and fears, our pain and joy. It can help us think more clearly, feel more profoundly, and live fuller lives than we could without it. It can alter the way we treat our fellow humans and maybe even our perceptions of ourselves. These beliefs guide me whenever I devise a concert program. I want the music my orchestra performs to become a permanent, indispensable dimension of an audience’s life. Society’s crisis of meaning could be a great opportunity for serious music: more than just a recentring, it could be a form of revitalization. But music is experiencing its own crisis. Serious music is being played less and less and is being taught less and less in schools. If one barely comes across it on radio and on TV, and if concert halls continue to face closure and bankruptcy, then fewer and fewer people will know about it. And what is not in our consciousness does not exist. The laws of economics will then come into play: decreasing supply causes decreasing demand. When there is no one left to promote an excellent wine, when the good bottles are pushed to the back of the shelf, no one will ever think of purchasing and drinking them. It’s not the musical ideas themselves that are disappearing. Those were devised long ago; they are permanently fixed in scores, have been printed, digitalized, and recorded, safely stored away in archives. Physically, music is well prepared for eternity. But music is not music proper if the scores are not played and heard. And, technically, the dissemination of classical music could be easier than ever—through music classes in schools, countless recordings, the mass media, and even social networks. Anyone can listen to almost any classical composition and performance on YouTube or via numerous streaming services at any time. There is truly no real reason anymore why classical music shouldn’t be more widespread and more passionately received than it is—by all social classes. But critics hardly seem upset about the dwindling presence of classical music in everyday life. This development, according to their argument, illustrates that this music was not meant for the general population. Music’s democratization has proven unsuccessful—maybe even for its own good, as widespread enjoyment would amount to the art’s trivialization. I am diametrically opposed to this view. Classical music is not exclusive. It belongs to us all and certainly not to a social group that would consider itself the educated middle class or elite. Not everyone can be a big entrepreneur, an investment banker, a billionaire in the digital economy. But we can all enjoy the same experience when we go to a concert or to the opera. In those moments of musical experience, people meet on an equal footing; neither fame nor prosperity matters. I am outraged that people no longer have any opportunity to encounter classical music in familiar surroundings and to experience it for what it is: something that broadens one’s horizons, and something that is a source of strength and inspiration that appeals to us emotionally, spiritually, and intellectually. I cannot bear the thought that so many are being deprived of classical music, because all my life, this music has given me so much, and because especially now—during the social crisis that Hessel addressed, which flares up in ever new manifestations of civic discontent—it could teach us so much. Let’s make the most of this moment. Let’s transform “the crisis of classical music” into “classical music for a time of crisis.” Maybe this period of upheaval is the art’s biggest opportunity. The Western world is undergoing an almost epochal transformation. We all sense it. Life is getting faster, competition is more relentless, social cohesion is diminishing, and the risk of individual failure is increasing. The contexts within which we have to make decisions have reached a level of complexity that often bewilder us. The old democratic order is slowly unravelling. What seems to be missing is the “cement” that holds our societies together, a minimum of consensus, a basic accord that allows individuals to flourish in all their diversity. Like most people, I have no idea how liberties and civil rights would have to be redesigned in the era of globalization and ever-new technological advancement to ensure that they are not taken away from us. The frequently described omnipotence of state security agencies and of internet companies such as Google, Amazon, and Facebook frightens me. And I am not alone. But what worries me most is this economic system’s built-in misanthropy and destructiveness. When, for some centuries, capitalism was on fairly sound footing, even the arts flourished. But, in its unfettered form, this system stops at nothing; all areas of society are consumed by it. A profit-oriented model has mutated into an overriding ideology. I see this crisis as an opportunity for a return to the arts and to classical music. The great symphonies of Haydn, Mozart, Beethoven, Brahms and Mahler, are not museum pieces we should listen to only if we want to familiarize ourselves with some music history. Nor are they an add-on, an embellishment, a relaxation exercise for the accelerated pace of adult life. They are more than what a radio station for classical music once promised when it devised the slogan “Classical music—your oasis of well-being.” They are timeless compositions that address all the uncertainties and insecurities of this epochal period, and they can support us in our search for meaning. Beethoven, for example, was convinced that man had the capacity to change for the better and to grow throughout life. This is why there is so much hope in his music. His symphonies were meant to drive people forward. Can we hear this even today? I certainly think so. The listener’s level of musical understanding is not relevant. Maybe they are familiar with the sonata form or with orchestration, or maybe they know something about the musical conventions of the time, which Beethoven threw out in order to arrive at completely new soundscapes. Maybe they don’t know any of that. Undoubtedly, most concertgoers have never looked at a score. Some may not even be able to read music. But none of this is necessary. Beethoven’s ideas can still be sensed in his music—with all its drama, lightness, provocativeness, and irony. How does classical music unfold such power? It mobilizes our senses and our sensibilities in such a way that we are thrown back onto ourselves. It appeals to listeners to make use of their own reason and to reflect on their actions. It won’t leave us alone if we have settled for a comfortable life, with only rudimentary answers to questions that have not been fully solved yet. Music’s sole purpose is to be experienced, and unlike a painting, music cannot be perceived in its entirety in one single moment. Music rushes past us, so to speak. Its “pull” develops over the course of the time that has to pass until the piece of music has ended, while simultaneously playing with our expectations. Every new tone, the very moment that it rings out, raises expectations for the next one. It is part of what makes music so irresistible. That experience, in turn, is why music can change our perceptions of ourselves and thereby our interactions with others. As soon as we hear its sounds, we enter a different world. It is an inner dialogue—whether consciously or subliminally. We listen, we evaluate, we anticipate the next chord, maybe a melodic line, which, however, might take a completely different turn. We get upset, we ask for the meaning behind the music and for the reason why it touches us, why it excites us with its wild rhythms, why its atonality frustrates us, or simply why it transports us from the familiar sphere of the necessary and the useful to a state of the highest acoustic awareness. Music creates its very own self-contained space for emotional, intellectual, and spiritual experiences that are not normally triggered by our immediate social environment. Its effect on the individual is uncertain, unpredictable, and unquantifiable. The late Canadian literary scholar Northrop Frye thought deeply about the significance of the arts. Naturally, as a literary critic, he mainly had fiction and poetry in mind. Yet what he had to say about the impact of literature could also be applied to classical music and to the question of why one should engage with it. According to Frye, there is a difference between the world people live in and the world they would like to live in. The first is reality; the second belongs to the vast realm of the imagination. The natural sciences explain the world we are surrounded by. They are, however, not directly involved with the world of our imagination. It is here that the arts come into play: literature, painting, and music. Art, as Frye puts it, begins at the edge of the world that we imagine, that we construct in our minds, not of the one that we see around us. It is the arts that influence our idea of how we want to live. This is precisely why the arts are so essential, especially now, during this profound historical turning point, this societal crisis of meaning, where it is paramount to develop ideas of the world we want to inhabit in the future. Frye published these ideas in 1964, in an essay called “The Educated Imagination.” The purpose of literature, he wrote, was to train people in imagining the possible. Music achieves a similar effect: listening to it, the gulfs within our society close, borders are opened, cultural trenches are levelled. To share a musical experience means to meet as members of the human race, regardless of rank, origin, or nationality. No one feels this more immediately than a conductor when the orchestra’s music flows out to the audience and fills the hall to the farthest corner, musicians and listeners alike carried away by a flood of sounds. Attempts to explain the powerful impact of music will always remain unsatisfying, but this much is certain: aesthetic experiences can transform people. The evil spirits that possessed King Saul took flight at the sound of David’s harp. The music inspired Saul’s imagination, evoking a vision of how different the world could be. Music and song made him see that God was on David’s side; they effected a turn for the better in him. “The fundamental job of imagination in ordinary life,” writes Frye, “is to produce, out of the society we have to live in, a vision of the society we want to live in.” This is exactly what we are searching for right now. This is what classical music can provide. Adapted from Classical Music: Expected the Unexpected by Kent Nagano, with Inge Kloepfer (McGill-Queen’s University Press, 2019).